hehe! Randomness and luvin it! Keep posting things! I love your work! hehe... just dropping by a short comment to say I looked at some of your pictures and I love your style! It's very interesting and unique! 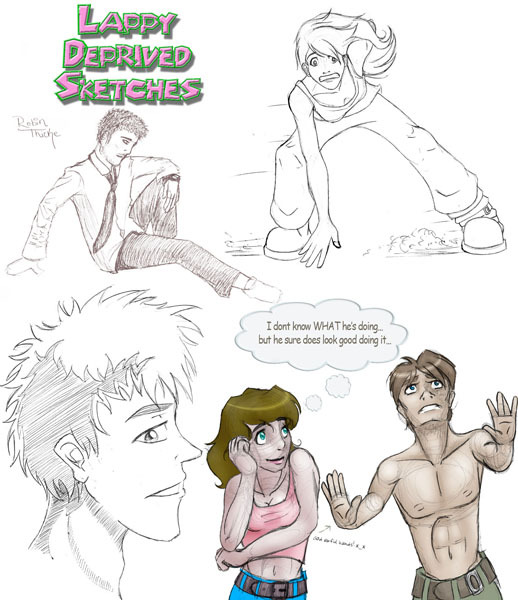 ZOMG I wish I had a lap top to be deprived from *sniff* Oh, and I especially like the sketch on the top right. And the one on the bottom right is funny XD.